Though Arabia is usually associated with baking desert, the parts of the peninsula that reach into the tropics are often much richer in species than similarly dty parts of the temperate zone. 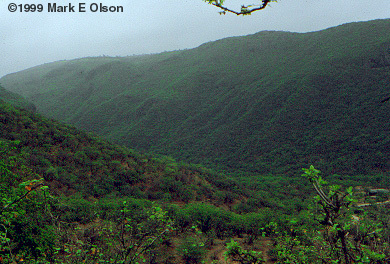 Parts of Oman also support a unique pocket of tropical deciduous forest. 1. 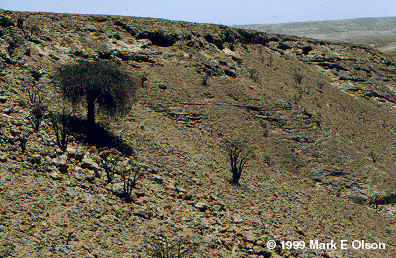 The Frankinscence Tree (Boswellia sacra in the Burseraceae) growing in the Dhofar region of southern Oman. 2. 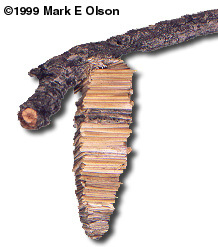 In case you're wondering what frankinscence is, it is the gum that exudes from the bark of the Frankinscence Tree that is used a wonderfully aromatic inscence. 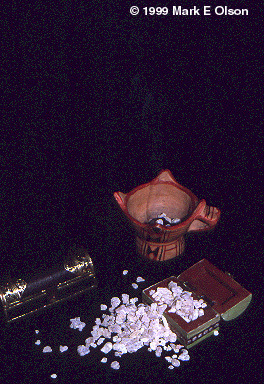 In southern Oman, it is burned in special clay burners. 3. 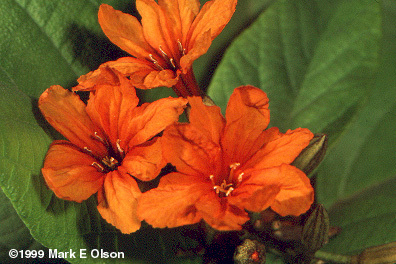 Flowers of a species of Cordia in cultivation in the Botanic Garden of Sultan Qaboos University. 4. A very odd, unidentified tree (Capparaceae?) 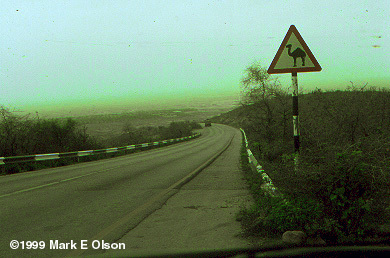 near Al Ayun, Dhofar. 1. - 2. 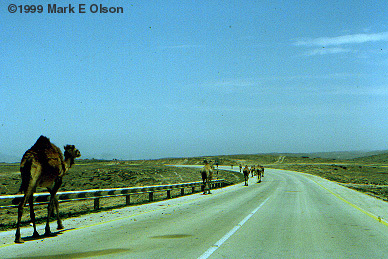 Camel crossing and camels on Dhofar roads. 3. Cocoon of ? 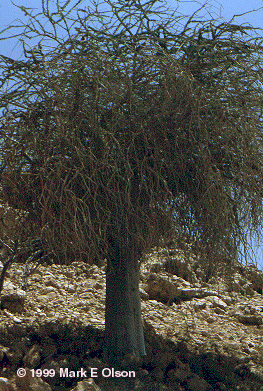 on Moringa peregrina built of Moringa leaf segments, photographed in the Jebel Akhdar range in northern Oman. 4. 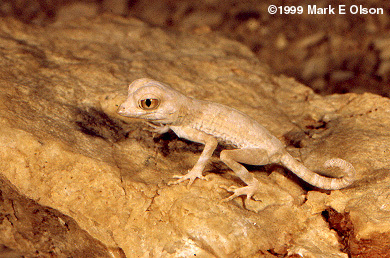 Small gecko sitting immobile on a rock in the baking midday sun of inland Dhofar. 1. Hot summer air blasting out of the Arabian interior creates an inversion layer, causing the southern face of low mountains in southern Oman to catch just enough of the summer monsoon to support a rich, unique tropical decidous forest. 2. The inversion layer blocks the penetration of moist air northward into the interior. This photo was taken about 30 kilometers from the previous one. 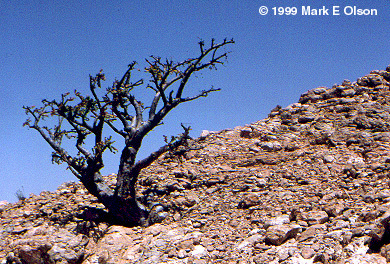 The large tree is the unidentified plant shown in photo 4. above, and the black shrubs are Frankinscence Trees.